Search and rescue teams found wreckage from a crashed Japanese F-35 stealth fighter in the Pacific Ocean close to northern Japan as efforts to find the missing pilot continues, authorities said on Wednesday. “The aircraft, less than one-year-old, was the first F-35 to be assembled in Japan and was aloft for only 28 minutes on Tuesday before contact was lost. “The plane had logged a total of 280 hours in the air since its first flight, he added. The incident came as Lockheed Martin, the F-35 manufacturer, competes for orders in Finland and Switzerland against the twin-engined Eurofighter Typhoon and Boeing F/A-18E/F jet. “The advanced, single-seat jet was flying in good weather about 135 km east of the Misawa Air Base in Aomori Prefecture at about 7:27 p.m. (1027 GMT) on Tuesday when it disappeared from radar. Eight ships and seven aircraft, including a U.S. Navy P-8 Orion maritime patrol plane, are taking part in search and rescue efforts. Defence Minister Takeshi Iwaya told newsmen that the aircraft was at the front of a group of four planes out for training maneuvers when it sent an “aborting practice” signal and then disappeared from the radar. “We’ll need to cooperate with the U.S. forces and I believe arrangements are being made for this,” Iwaya said, adding that the priority was on determining the cause of the accident. A second ASDF official told Reuters that Japan has a total of 13 F-35s, including the one that crashed, which was the fifth delivered to the ASDF, but the first assembled by Mitsubishi Heavy Industries in Japan. `Japan’s remaining 12 stealth jets are grounded for now. “The previous four aircraft had been used for training in the United States before being brought to Japan,’’ the defense official said. A representative for Mitsubishi Heavy Industries said the company had no immediate comment. Mitsubishi Heavy Industries Ltd assembles the aircraft at a plant near Nagoya in central Japan. The lost aircraft cost 14 billion yen (125.98 million dollars), several million dollars over one purchased directly from the U.S.
“The F-35’s pilot was a veteran flyer with 3,200 hours of flight time, but had spent only 60 hours in the F-35. 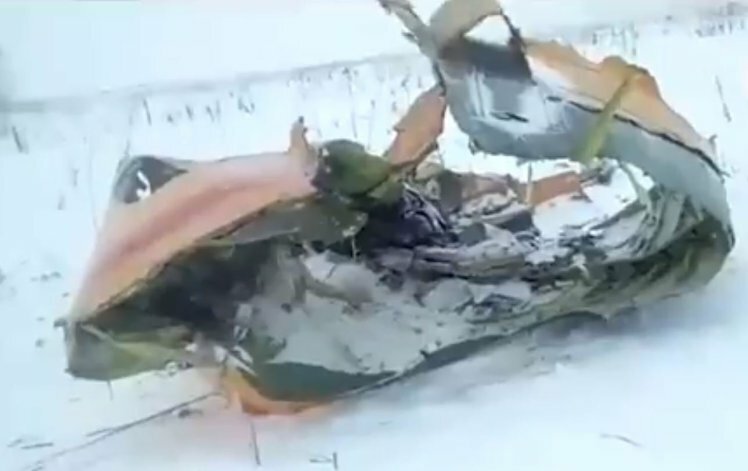 “The aircraft crashed in waters that reach a depth of around 1,500 meters, making recovery, particularly of the aircraft’s flight data recorder, difficult,’’ the official said.